Conflict results in change and continuity. The greatest conflict of our young nation, the Civil War, divided the country along geographical and ideological lines. The Union victory, and subsequent reconstruction of the South, should have fundamentally changed life in the South, especially for former slaves. But to what extent was this true? How did life change for African Americans during and after Reconstruction? 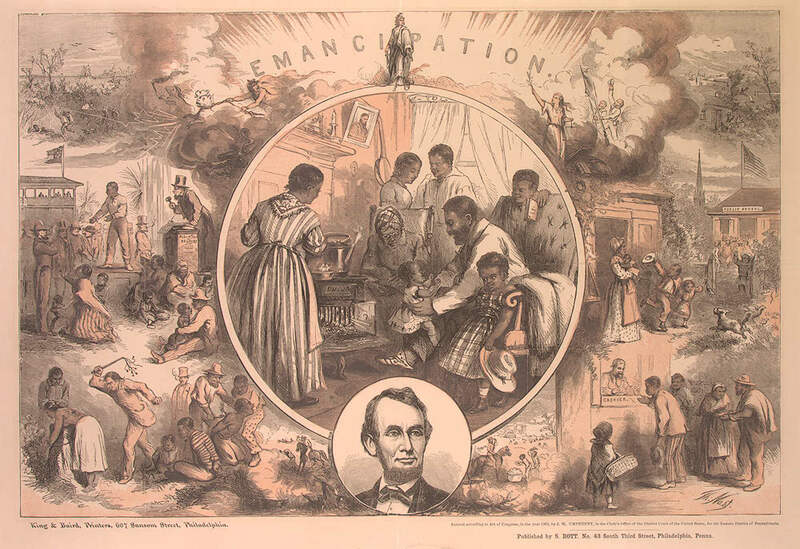 How did Reconstruction impact political, economic, and social systems of African Americans? To what extent was life during and after Reconstruction simply an extension of slavery? Students should be able to answer these questions after completion of this lesson. 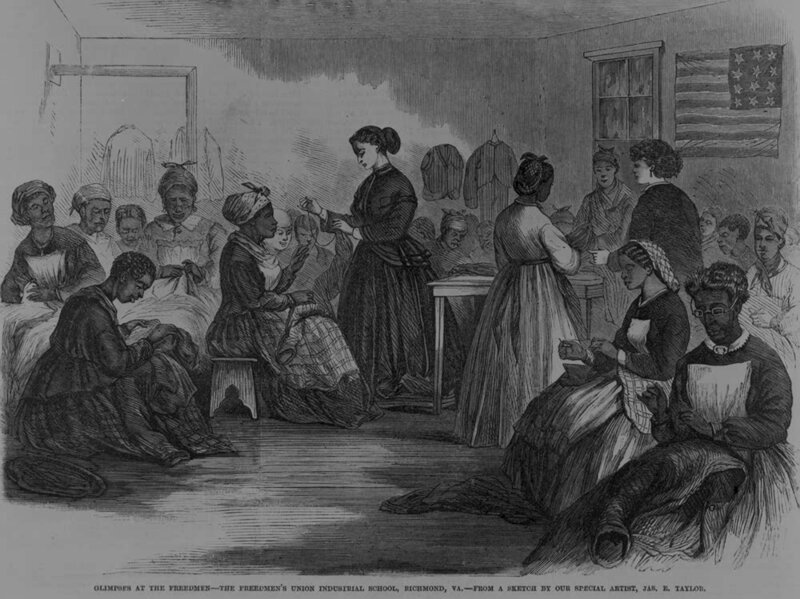 The lesson itself examines the impact of Reconstruction, from 1865-1877. In order to fully understand the impact of Reconstruction, documents from and after this time period are used. 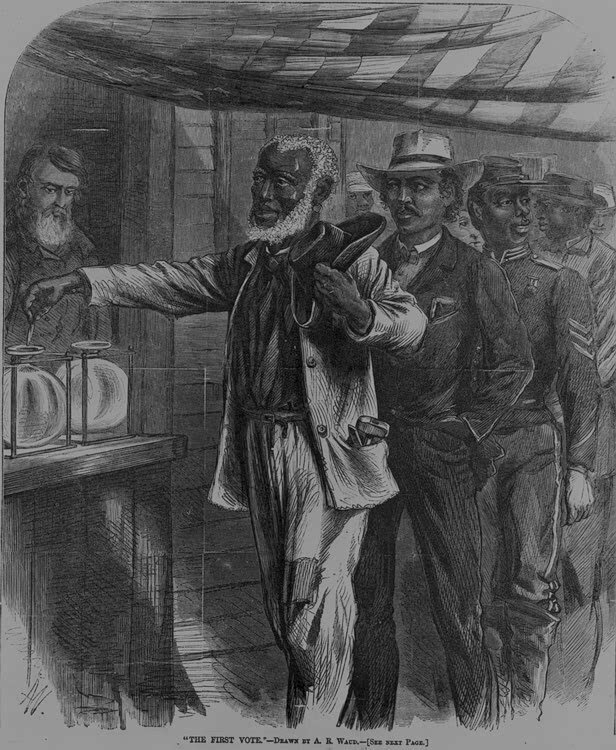 Just as an examination of Martin Luther King’s impact would not be complete without examining events that occurred after his death, including data from the 70's, 80's, and even today, a complete analysis of the impact of Reconstruction on African American Rights requires examination of the period after it’s end, in 1877. Therefore, documents from 1865 to 1902 are used to examine this impact. It is the student’s role to determine the extent to which this impact resulted more broadly in change or continuity for African Americans. Students will be able to evaluate the impact of Reconstruction on African American rights by analyzing documents and completing a Brief Constructed Response (BCR). Unit 9.1 "Continuity vs. Change"
What is a primary source document? When looking at a document, what types of things are important to notice about the document? In other words, how should we evaluate a primary source document? Tell students they will be working in pairs to investigate the political, social, and economic rights of African Americans. Introduce the note capture sheet. Go over Document One with students; the political cartoon by Thomas Nast. Tell students that there are no "correct answers." However, they should think about the source and how that impacts the meaning of the work. Have students work in pairs to complete analysis of each document. Be sure to set timing guidelines to allow students to pace their work. Assign students the T-Chart Graphic Organizer as homework for each evening. This chart asks students to determine whether the documents they analyzed serve as evidence that rights for African Americans changed or remained the same. They must also demonstrate knowledge of political, social, and economic systems. Check homework to make sure students are progressing each day, and have an understanding of the primary source documents. Students can be paired with partners in a number of ways. High ability students can be paired with lower level students to provide varying levels of analysis. Students can be paired in like-ability pairs and documents can be matched to fit student ability level. Documents 1, 5, 11-14 involve visual literacy. Other readings are shorter (7, 15, and 16). Students will complete a BCR (single-paragraph essay) about whether or not Reconstruction led to change or continuity. They can choose to focus on economic, social, or political change; or they may talk about Reconstruction more broadly. PBS American Experience, "Building Up the Country"
Carpetbagger Marshall Twitchell describes his role and experiences in Louisiana as an agent for the Freedmen’s Bureau. Excerpted from, Marshall Harvey Twitchell, Carpetbagger from Vermont: The Autobiography of Marshall Harvey Twitchell. Baton Rouge: Louisiana State University Press: Baton Rouge, 1989. PBS American Experience, "Not Free Yet"
A former slave testifies before the U.S. Senate in 1880, about life in the South shortly after the Civil War. An excerpt from Senate Report 693, 46th Congress, 2nd Session (1880). Reprinted in Dorothy Sterling, editor, The Trouble They Seen: The Story of Reconstruction in the Words of African Americans. New York: Da Capo Press, 1994. PBS American Experience, "A Sharecropping Contract"
A sharecropper contract from 1879. Excerpt from Nell Irvin Painter, Exodusters: Black Migration to Kansas after Reconstruction. New York: Alfred A. Knopf, 1977. History Matters, "Burned into Memory: An African American Recalls Mob Violence in Early 20th century Florida"
An African American tells the story of mob-violence and lynching experienced in 1902. Source: Charles Hardy III, Horizons (Washington D.C.: National Public Radio, 1985), West Chester University. 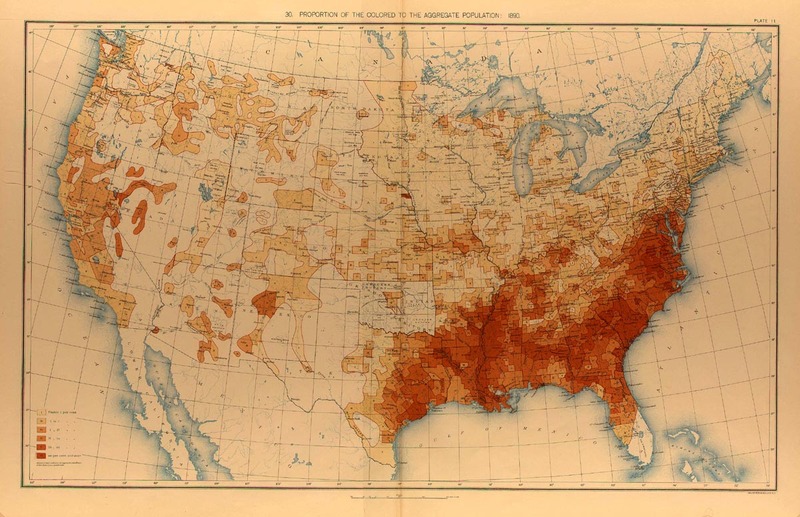 Lynching statistics from the Tuskeegee Institute, beginning in 1882. President McKinley makes statement against the practice of lynching (1899). Source: "Lynch Law Condemned," Cleveland Gazette, vol. 17 n. 18, 12/09/1899. 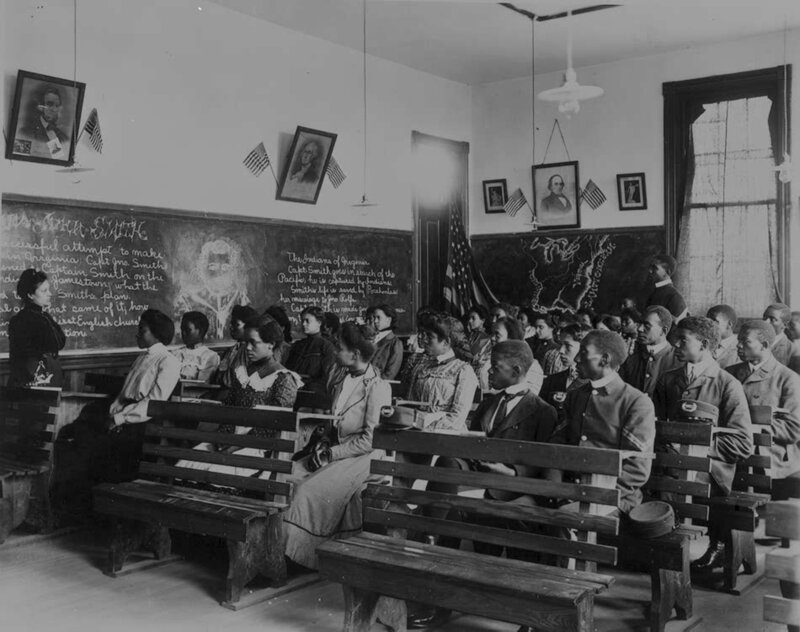 Photograph from the Tuskegee Institute by Frances Benjamin Johnston, "Tuskegee History Class." Copyprint, 1902. Prints and Photographs Division. Reproduction Number: LC-USZ62-64712 (6-3) Frances Benjamin Johnston was commissioned to photograph Tuskegee in 1902. This photograph shows a history class learning about Native Americans and Captain John Smith in Virginia. Voice of a Freedman on the role of African Americans after the Civil War. Source: Thomas Wentworth Higginson, Army Life in a Black Regiment (Boston, 1870). The voice of Col. Samuel Thomas, discussing the attitude of Confederates regarding new African American Rights. Source: Col. Samuel Thomas, Assistant Commissioner, Bureau of Refugees, Freedmen and Abandoned Lands in 39 Cong., 1 Sess., Senate Exec. Doc. 2 (1865). 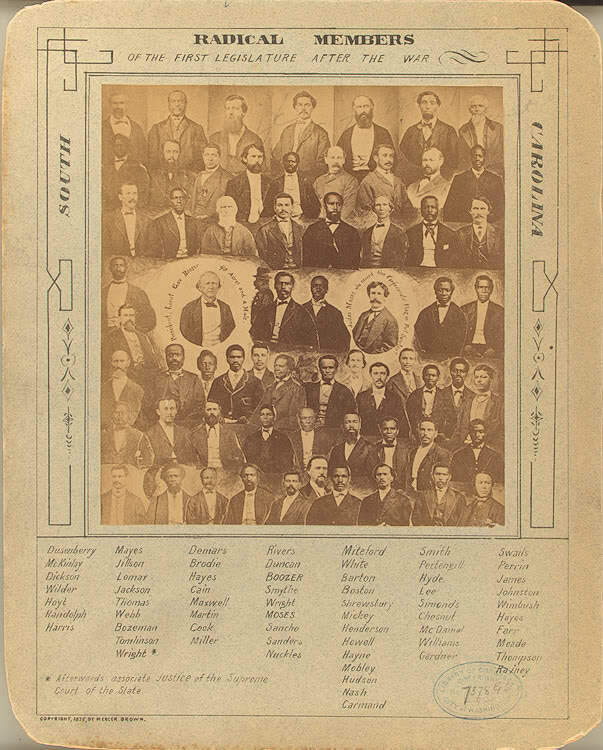 Digital History, "America's Reconstruction: People and Politics After the Civil War"
Mississippi Black Code (1865). The Black Codes were laws made to prevent the exercise of new found freedom for African Americans. A former slave, Jourdan Anderson replies to a letter from his former master (1865). Source: Cincinnati Commercial, reprinted in New York Tribune, August 22, 1865. For more information about this program: Email Linda Spoales.